There are loads of applications available in the app store which help you stay connected to your friends and family but Vodafone Update 2.1.2 has something new to offer. Keeping track of each of your social networks all on different apps can be time consuming and complex. Now Vodafone has launched a really useful social networking app “Vodafone Update “. This free app allows users to connect to their social networks at once and update them at any time; it brings all your social network updates to one place thus making it easier for you to keep track of status updates. When you start the app for the first time you will be asked for your account details for any social network you wish to access from the app, followed by a permission screen where you can allow the app to access your facebook / twitter or any other social network account. Vodafone update keeps you connected to Twitter, Facebook. MySpace, LinkedIn, VZnetworks and Twitpic contacts. You have an additional option to view updates from specific networks only. You can achieve this by tapping on the social network icon above friends list. Add status updates to networks of your choice by tapping the “write update” button in the top right corner – this opens a text box where you can enter your update and choose the social networks of your choice. Aditionally, you can shrink an URL ; upload or take a photo using twitpic; and geotag your status update from the options menu before sending . You can also reply to your friends messages directly from the app, search for real-time news in twitter and easily send photos to your social networks from the app. The Vodafone Update V 2.1.2 is the latest update available to the app and is quite simple to install and fast to work. It is available from the app store for free . If you are thinking of purchasing, or upgrading, your iPhone – check out Vodafone’s mobile phone current offers on our website below . Vodafone also sell a range of checked and tested refurbished iphones – they look and work just like new. You get a battery, charger and user guide with your iphone, plus pay monthly handsets also come with a warranty that lasts as long as your contract (PAYG handsets come with a 12-month manufacturer warranty). Remember your sim card will lock you into Vodafone. However, you will benefit from great deals on often popular handsets, without the risks commonly expected! Check out the offer on the Vodafone website. Free refurbished iPhone 3G are available today only online. There are a limited number of contract deals to choose from. Visit the o2 website to consider this special offer. 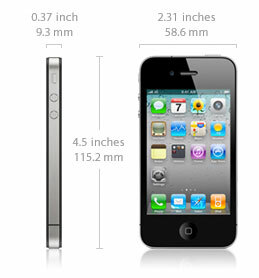 The Apple iPhone 3G 8GB entered the market in 2007. That year it picked up the Invention of the Year award from Time magazine. Just three months after its launch it had outsold the BlackBerry models from Research in Motion by over one million. It is made in two forms, with one offering 8GB of internal memory (the deal on offer) and a higher end version which includes 16GB that can access more functions. However, both versions include memory expansion card slots. 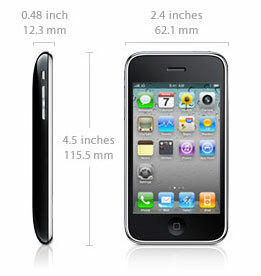 The iPhone 3G 8GB is operated by a touchscreen display which has been specially created for use with a finger or more than one digit for scrolling effortlessly through pages. The interaction system is equipped to understand complex gestures, thus allowing users to adopt techniques such as touching and dragging icons. The phone doubles as a GPS device, thanks to assisted GPS and the Google Maps application. This enables you to receive turn by turn directions to your location and quickly and easily find your way around. And its large screen makes reading maps on the display a pleasure. There are games and apps which employ the iPhone’s accelerator to give you fun Wii-style. If you are considering going for a refurbished iPhone offer there are a few things to think about. The overall consensus about the refurbished iPhone is not that it is too worn to work well but that it’s overall life will be less. It is difficult to replace batteries so check that a reputable company like O2 is offering a new battery in the handset. The iPhone is also incredibly sensitive so avoid shaking it as this has a negative effect below its hood. If you are using it during physical activity, such as jogging, try to hold it to reduce movement. The touch screen is very sensitive which makes it prone to scratches and cracking. You should buy a protective cover to reduce any future damage that may occur (look at our website for choice of covers). If you would not be able to even consider the item unless it had the refurbished offer, then it is definitely worthwhile. It is going to be much more reliable then buying one at an auction site, especially since you are guaranteed the quality of O2 service. For some competitive offers and deals on new iPhones you might consider an Orange package. Remember – the best deals are only available online.